There are many types of arthritis (over 100 identified, and the number is growing). The types range from those related to wear and tear of cartilage (such as osteoarthritis) to those associated with inflammation resulting from an overactive immune system (such as rheumatoid arthritis). Together, the many types of arthritis make up the most common chronic illness in the United States. 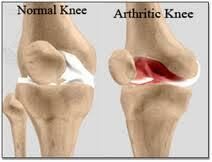 Two of the most common forms of arthritis are osteoarthritis and rheumatoid arthritis. Arthritis affects people in many different ways. How long the patient is affected and how severely it is depends on the type of arthritis. Arthritis sufferers will find there are good and bad days. Most patients with arthritis will suffer from discomfort, pain, stiffness and/or fatigue. You may also feel frustrated that you are no longer able to grip things so well or get around like you used to. It is important to remember that if you suffer from arthritis this does not mean you have to give up having an active lifestyle. With some changes to your way of life there is no reason why you cannot continue being active. The importance of talking to your doctor. Sometimes arthritis symptoms make it harder to do certain activities. By talking to your doctor about your symptoms, he or she may help you find other ways to continue doing some of those activities. Your doctor can also help evaluate your current treatment and may recommend other, more effective ways to help you manage your arthritis. The sooner you take action and talk to your doctor, the sooner you can start managing your arthritis symptoms more effectively.